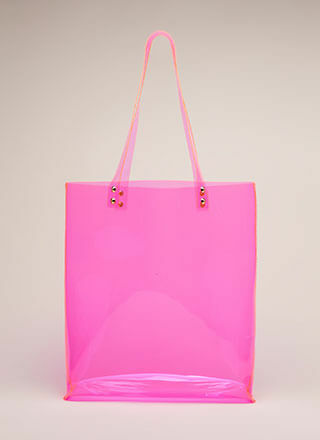 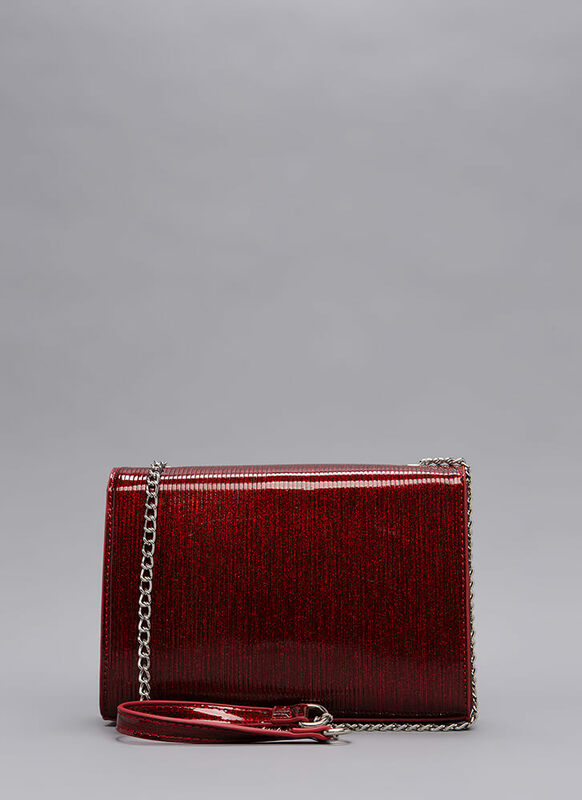 Need to add a little glamour to your look? 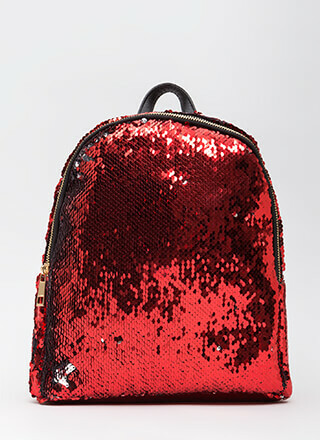 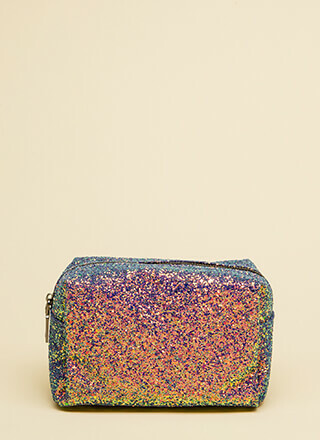 Some glitter will do it! 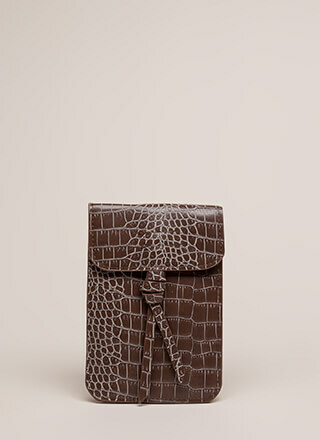 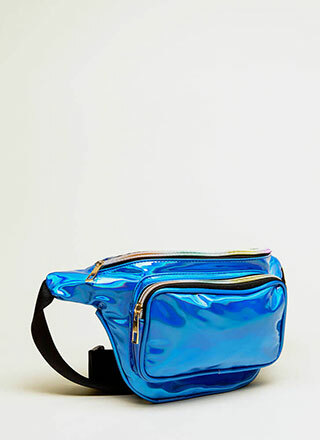 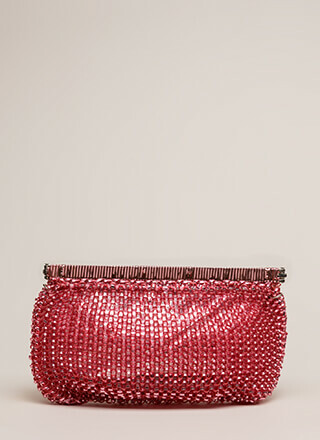 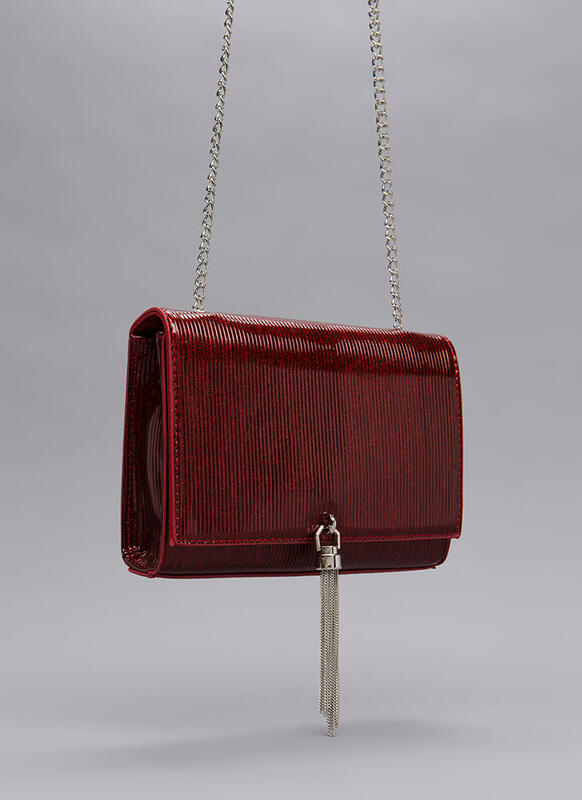 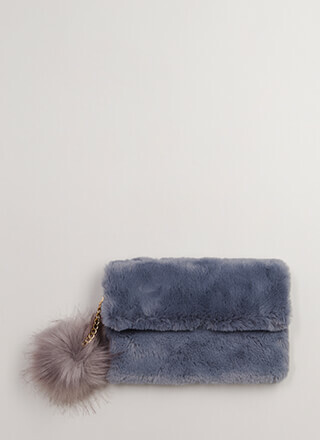 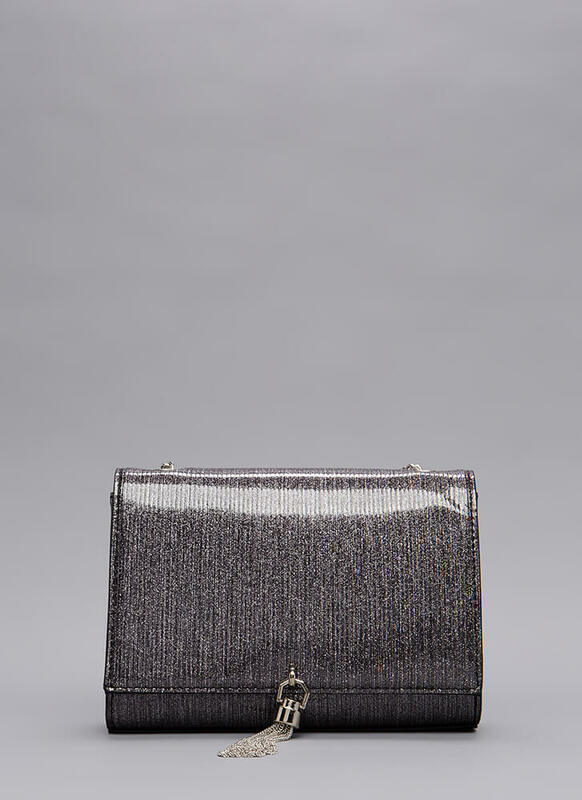 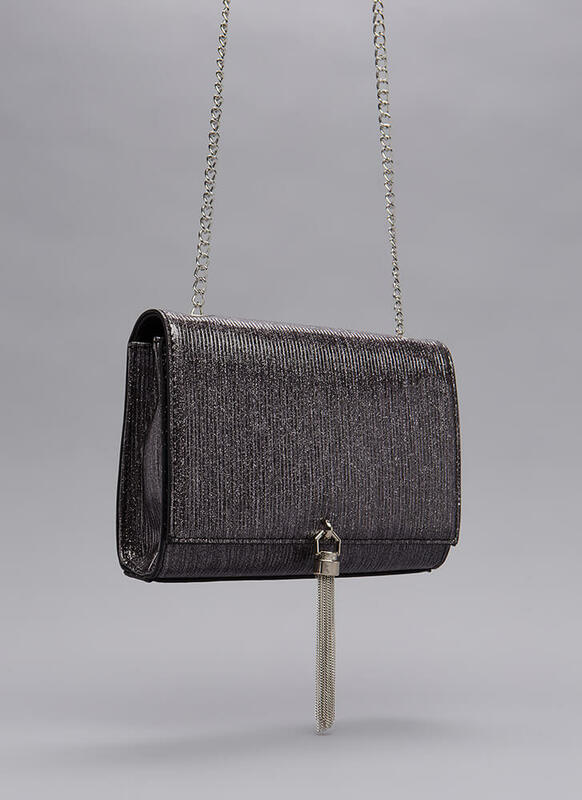 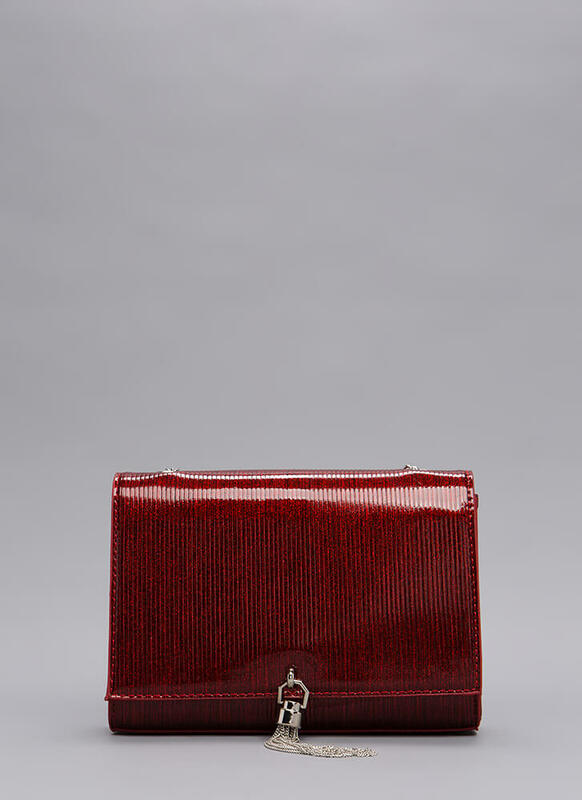 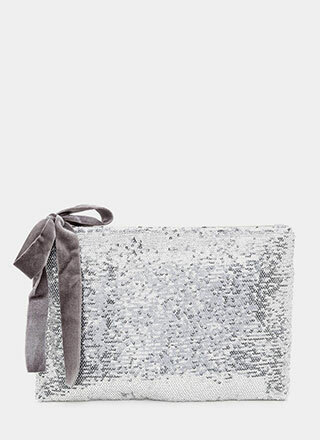 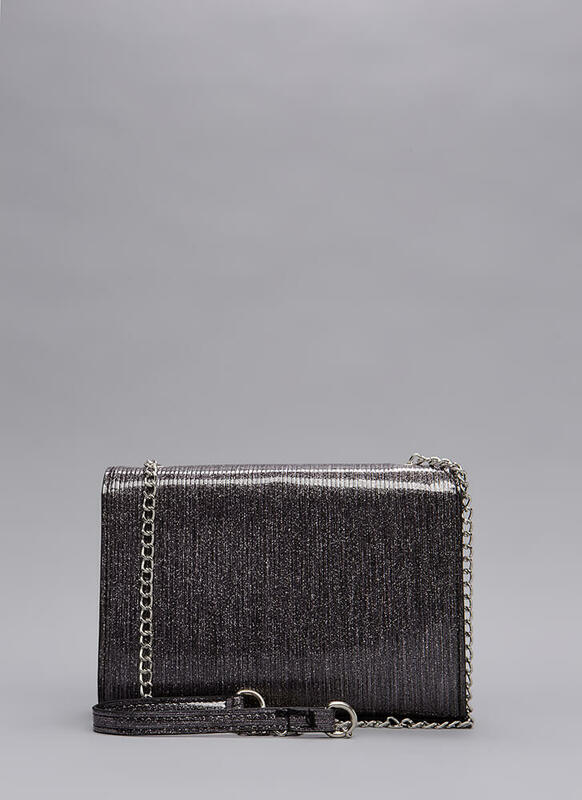 Glittery, ridged, vegan patent leather clutch features a foldover panel with a metal chain tassel charm, as well as a non-adjustable chain link shoulder strap. 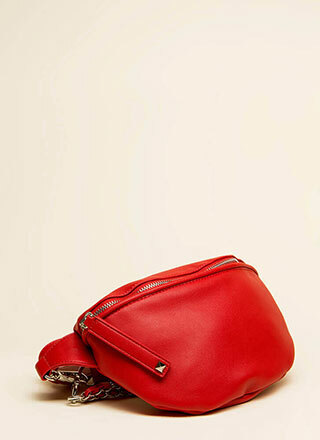 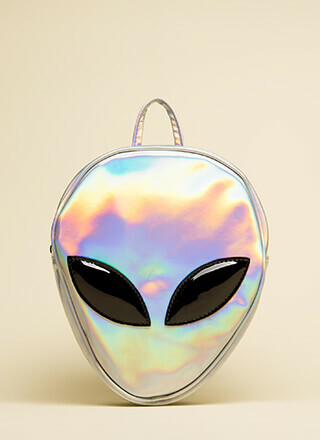 Lined interior includes a top zipper and three card slots. 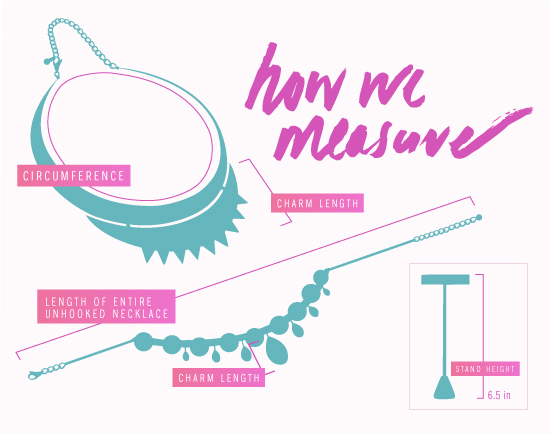 Length: 6", Width: 8.5", Depth: 2.5"